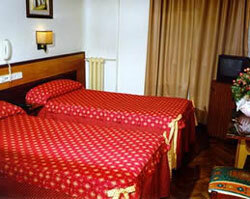 Hostal Hispano-Argentino, Gran Via, central Madrid, Spain. 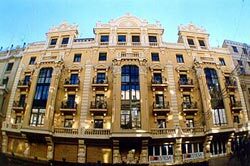 The Hispano-Argentino Hostel is a hotel in one of the most emblematic buildings of Madrid's central Gran Vía street. 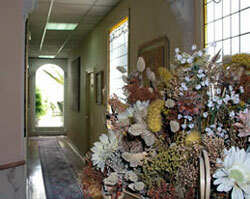 Founded in 1965, it has undergone a complete refurbishment. All rooms have a bathroom, hairdryer, mini-bar, satellite color T.V. with 8 international and 10 national channels, telephone, safety box, heating, air conditioning, music channels, and more. 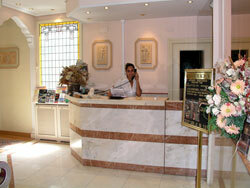 It is located in the Gran Vía, within walking distance from La Cibeles, Puerta del Sol, Plaza Mayor. This privileged location will allow you to walk to most places of interest such as the Prado Museum, the Reina Sofía Museum, the Royal Palace, monuments, etc. Services: Laundry service, car rental booking, bar, fax service, Internet, day trip booking, piped music, full bathroom, hair dryer, minibar, satellite TV (8 international channels and 10 local channels), Telephone, Safety deposit box, Heating, Air conditioning.